The Institute of Banking Personnel Selection (IBPS) finally took the decision and declared IBPS PO/MT-VIII Result 2019 on its official web portal i.e. www.ibps.in today i.e. 13th March 2019. According to the latest sources, we have confirmed the anticipated release of IBPS PO/MT-8 exam result today i.e. on March 11, 2019. FYI, the IBPS had conducted the Prelims Test for the post of PO/MT on 13th to 14th and 20th to 21st October 2018 with success. Wow! 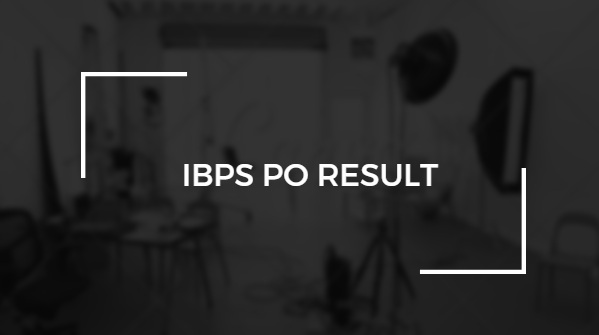 We get the immense pleasure to tell you that IBPS has now declared the IBPS PO/MT-8 Result 2019 on its authorised website on 11.03.2019 for sure. If you would like to see the list of shortlisted contestants for the interview, use this link. If you don't know how to arrive at scores, use this guide for CRP PO/MT - VIII. Further links have been furnished at the bottom side. हमें यह बताते हुए प्रसन्नता हो रही है कि आई.बी.पी.एस. प्रोबेशनरी ऑफिसर/मैनेजमेंट ट्रेनी का स्कोर कार्ड अब जारी किया जा चुका है और जिन लोगों को इंटरव्यू के लिए बुलाया गया है वो अपना नाम लिस्ट के माध्यम से आसानी से देख सकते हैं. If you get your name listed in the list of shortlisted candidates, that’s awesome, it means that you have been shortlisted for the Interview round which will increase the chances of being shortlisted for the final selection of "PO/MT-VIII"
Those candidates who have cleared the Mains Test shall be called for attending the next round which is called ‘Interview’ round. What is the Date of Interview? The Interview shall be conducted in accordance with the "Interview Schedule" which you can check in the "Interview Call Letter" that you downloaded earlier as per the direction of IBPS. Where is the Direct Link to check my result? The direct link to check your result appears on this page now (see below). For more, keep an eye on this page.